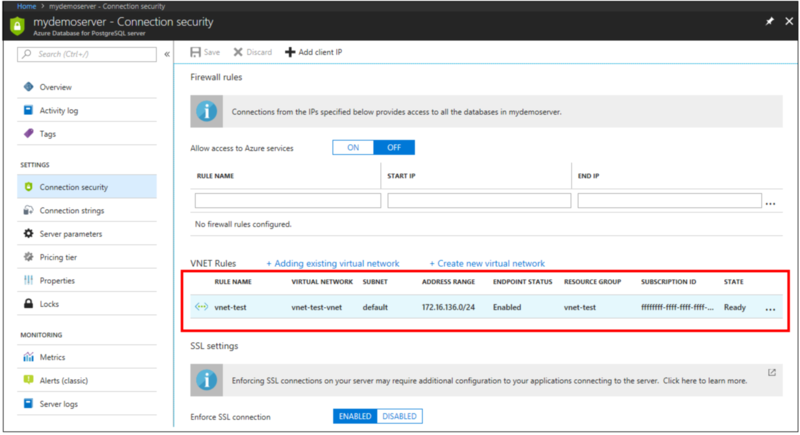 Virtual Network (VNet) services endpoints and rules extend the private address space of a Virtual Network to your Azure Database for PostgreSQL server. For an overview of Azure Database for PostgreSQL VNet service endpoints, including limitations, see Azure Database for PostgreSQL Server VNet service endpoints. VNet service endpoints are available in all supported regions for Azure Database for PostgreSQL. 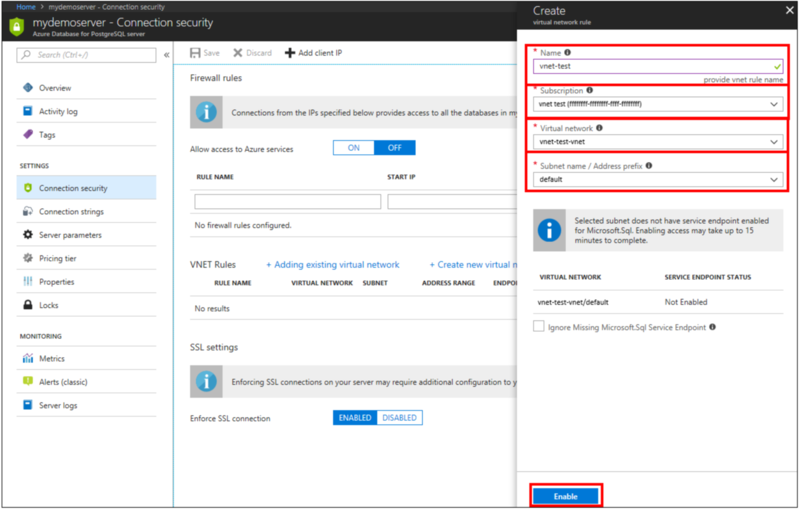 On the PostgreSQL server page, under the Settings heading, click Connection Security to open the Connection Security pane for Azure Database for PostgreSQL. If you leave the control set to ON, your Azure PostgreSQL Database server accepts communication from any subnet. Leaving the control set to ON might be excessive access from a security point of view. 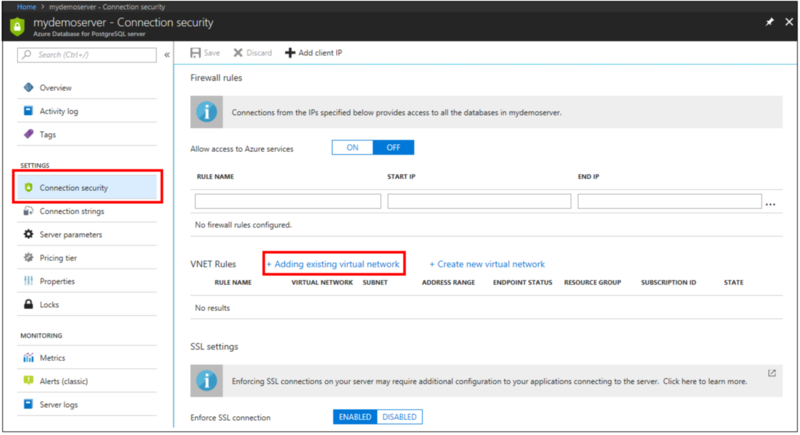 The Microsoft Azure Virtual Network service endpoint feature, in coordination with the virtual network rule feature of Azure Database for PostgreSQL, together can reduce your security surface area. Similarly, you can script to Enable VNet service endpoints and create a VNET rule for Azure Database for PostgreSQL using Azure CLI.